I know I’m not the only one who holds Neil DeGrasse Tyson in high regard. Even though he’s the most visible proponent for science these days (move over Dawkins and Nye), the man has been met with criticism. Most of them stem from people who, honestly, don’t like their bubble being burst. But they do live in a bubble, and they should know not to shoot the messenger. Criticize NDT all you want for how nerdy he is and how dumb his astrophysics vests are, but the man has a wealth of knowledge floating around in his head, and he’s not afraid to share it, no matter how much some people might not want him to. It’s too easy to fall into the romantic habit of fetishizing the magical and unknown, but what NDT is vilified for is for explaining to us that these things we find mysterious and magical, actually are well understood by science. I guess people would prefer to live in their fantasy world. And why wouldn’t they? We live in a time where feelings are more important than facts. But, NDT fights the good fight and is there to make the dark world we live in just that much more brighter. For that, I admire the man. It’s for this reason that I find his latest book Accessories to War (cowritten with Avis Lang) such a disappointment. 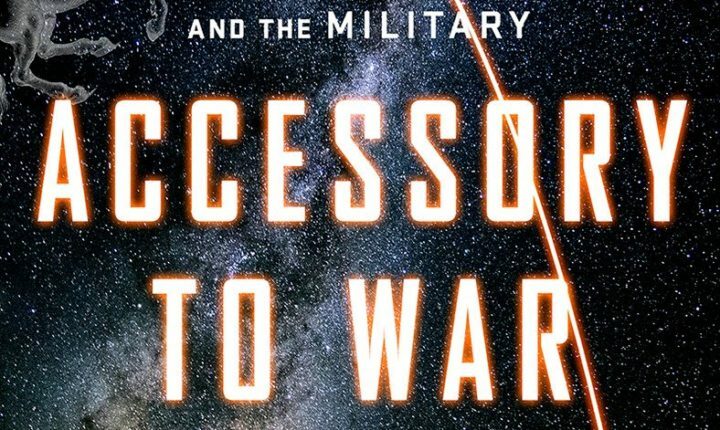 Instead of sticking to just science and society, Accessories to War tries to tell the story of how science and the military have played a role in each other’s developments. The society that had the most advanced science in their military tech were the victors, and as long as science could provide that, it would be in a government’s best interest to fund the science so that it would become more powerful. Sounds interesting, but what Accessories to War boils down to is mostly talk about light, telescopes, and astrology. And if that’s all you’re going to talk about, you’re going to lose your readers pretty quickly. And it’s such a bummer because NDT is definitely the person who can take the seemingly mundane and make it exciting. Instead, this book is insistent on dwelling on topics and science that are just plain boring. Not to mention the endless organizations and programs and all their acronyms and everything that they were supposed to do. I just gave up on them. NDT’s big picture perspective is also a bit of a let-down. Science and the military might have played a role in each other’s development, but it doesn’t have to be that way. The way we get better science shouldn’t be just by causing death and destruction. He claims that there’s been huge advancements in science when the government steps in and pumps a bunch of money into a tech it’s interested in, but no mention how these should all be publicly owned since they are all tax-payer funded. Also, I know this book deals with astrophysics but the opportunities that we missed by neglecting medicine and earthly problems by focusing on space is downplayed quite a bit. I don’t quite buy that landing on the moon was such a great idea considering how much it cost and the challenges we have here on earth. I still love the man. I’m still interested in what he has to say. This book just left me flummoxed.